I strive to enable children to escape the cycle of poverty by providing them with books, allowing them to build confidence in their reading skills, succeed in school, and have a world of characters to turn to in times of stress. Developing mini-libraries in food pantries I aim to incorporate "brain-food" as an important asset in these locations. At age 12, I had both a passion for reading and a growing awareness of the world around me. I was deeply saddened to hear the number of children in Columbus living in poverty, without books of their own and decided to take the initiative to make a difference. I collect donations of new and gently used books ranging from infant to high school, organize and label them in specific categories and reading levels, collaborate with program leaders, make deliveries to food pantries and other organizations to create mini-libraries and complete many initiatives that help underprivileged children succeed. To date, the Read to Succeed Foundation has served 61 unique charitable organizations and delivered over 56,000 books to those in need. I am always striving to expand this impact to help more children living in poverty! I'm so thankful for my continued collaboration with the NNEMAP Food Pantry, the value they place on the power of reading and how excited families served by the food pantry are to recieve these books, truly mean the world to me. 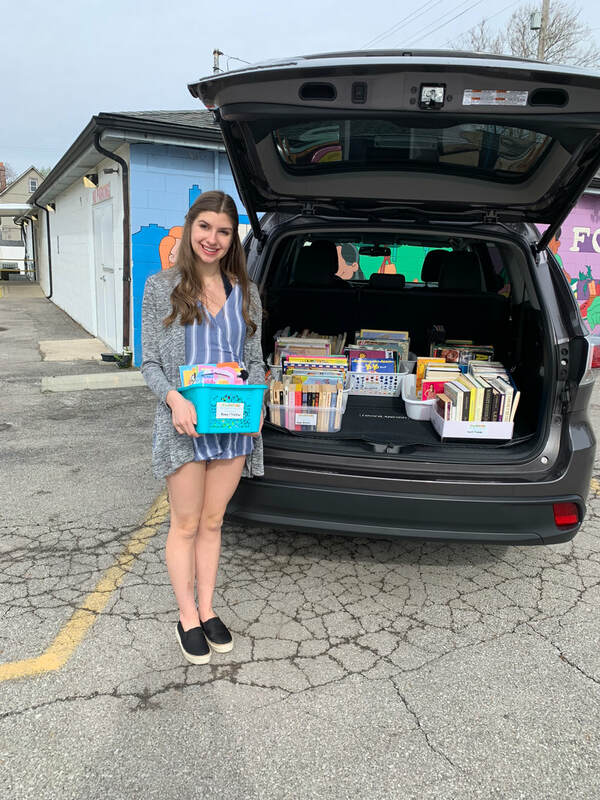 I am so happy to have been able to donate 8,000 books to NNEMAP over the years and I'm so excited to continue our now 4 year long collaboration! Want to Start Your Own Local Branch of Read to Succeed?